Email notifications should be working in this coming, or the following, update. Currently they only work with v1. The comments aren’t appearing in Internet Explorer (but they work in other browsers). 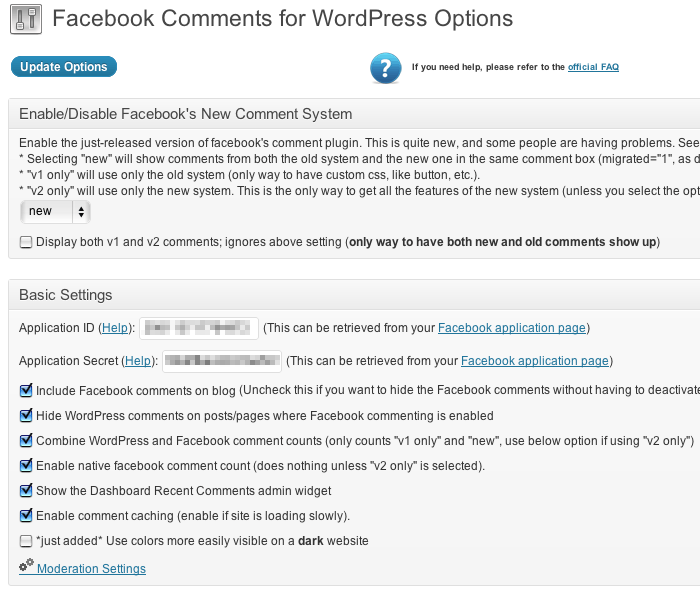 Ensure the Include Facebook FBML reference and Include OpenGraph reference options are checked off on the settings page.